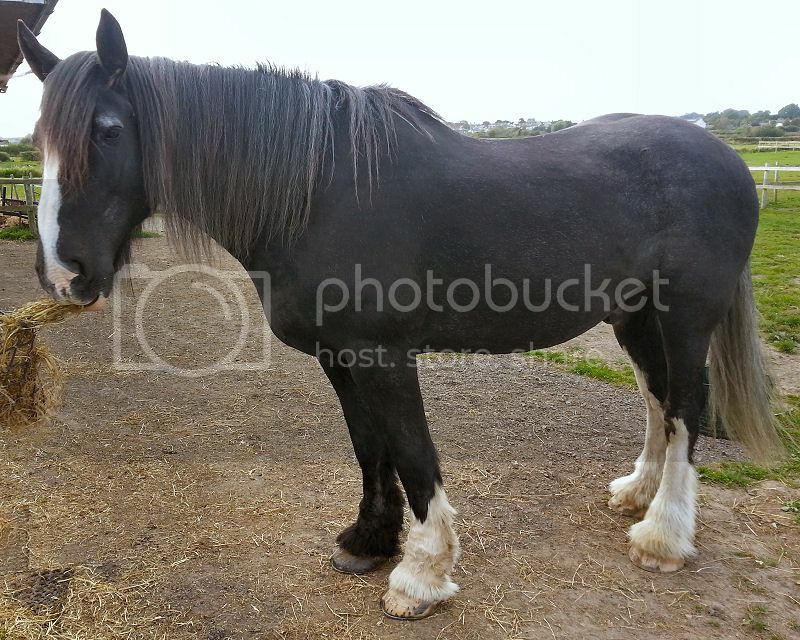 17.2hh gelding, kind, 17yo. Looking to see if I can find him a better home. Possibly permanent home if suitable. Probably not a novice horse, but he is the first horse I have ridden and I had no problems, even when encountering a low flying plane (We are 1 field over from a parachute centre), tractor with muck spreader, combine harvester and numerous cars/tractors/vans/bikes down single track roads. Prefer somewhere local, so I can check up on him, so South Lake District or north Lancashire (we are in Flookburgh). He is to much for my wife to look after (she has two horses of her own), I'm 2hrs late for work every day and he is just not getting ridden. Well looked after and cared for, just wasted on me. Hopefully posting on here won't get me the usual "Will he be OK for my 12yo daughters first pony". If someone would like to just help muck out in the mornings that would be a great help also, possibly ride if they can prove themselves safe. We have tried this in the past, but most people don't come back when they see his size and then there is the one that came off my wife's horse and left in an ambulance. Shame if one hand smaller snd closer I would of snapped him up, missing my big beastie, though at the time selling him made sense. presume you have found a loaner now?? Resurrecting an old thread, because he went out for loan and came back 2 years later. We need to re-home him again ASAP. We have 4 horses and only 3 stables. Unfortunately Oliver drew the short straw and is out 24/7. Our land is quite wet and he has another hoof abscess. Where he was on loan to had much better facilities, better drained fields and an all weather area. He didn't have a single hoof abscess there. So we really need to get him off our wet land. The other problem is I was in a car accident just shortly after he went on loan last time. So it was a God send we didn't have him then. Unfortunately the accident left me with costochondritis and poulticing his hoof is causing me agonising chest pain (still its got to be done). We are in the South Lake District, near Grange-over-Sands (UK). I'd prefer him not to travel to far, but if the right home presents itself. When he came back his feather had been cut and he had mud rash. Doesn't take a genius to know why. Feathers have grown back and mud rash gone.